KoopaTV: A Post-Bayonetta Super Smash Bros. 4 Balance Patch? STILL Nothing For Jigglypuff?!? A Post-Bayonetta Super Smash Bros. 4 Balance Patch? STILL Nothing For Jigglypuff?!? By LUDWIG VON KOOPA - The Balloon Pokémon needs a JigglyBUFF. Just another reason why we shouldn't listen to Masahiro Sakurai, even if it's about himself: He's supposed to be working on a brand new project, right? 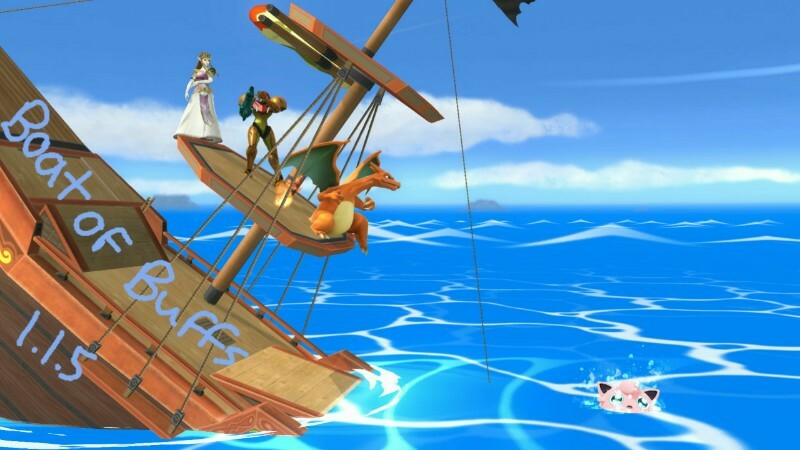 ...Why is there a brand new totally surprising patch for Super Smash Bros. 4 out last night? That's not the project he's supposed to be working on! As usual, Nintendo's official notes for Super Smash Bros. are not helpful. The Splatoon ones? Great! Both Super Smash Bros. 4 and Splatoon were supposed to stop having updates. Splatoon in January, and Super Smash Bros. 4 in February with Corrin and Bayonetta. We can't trust anyone anymore to not treat their games as games-as-a-service, and I guess the specific designer's philosophies determine how much information Nintendo gives out every time there's a new update. Fortunately, Smashboards members are compiling an exhaustive list of changes for patch version 1.1.5. There's great stuff: Buffs for lower-tier characters. A well-appreciated Corrin nerf, especially to his insane Counter Stream attack! ...But there's a big problem, and it's not just that all your replays got deleted when you thought they'd be safe from further patches. Every character except Jigglypuff in Super Smash Bros. 4 has gotten some sort of positive/negative attention through post-release patches. Whether it be King Dad getting a combo throw, Diddy Kong's down-throw to up-air combo (HOO-HAH!) being broken up, my cannonballs doing more damage, or Sheik being lighter and being knocked out slightly earlier, everyone has gotten something at some point. Many characters have gotten many somethings. 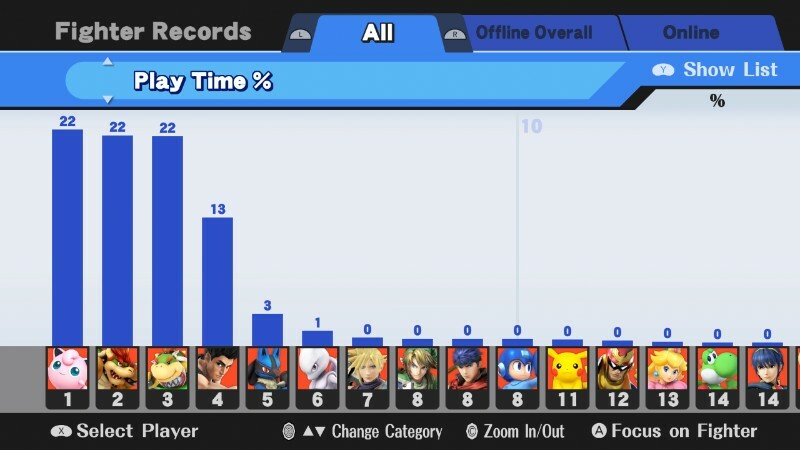 My Fighter Records, set to Play Time Percentage. Jigglypuff is technically the character I play with the most. Or does Sakurai believe that Jigglypuff deserves to be among the very worst characters in the game? After all, the other lower tiers have gotten buffed with 1.1.5 in various amounts, except for Jigglypuff. Does Sakurai remember the days of Super Smash Bros. Melee where Jigglypuff was one of the best characters, and Sakurai's creation, Kirby, was considered to be among the worst? After that, Jigglypuff was really bad in Super Smash Bros. Brawl. I know. I played with her a lot. She's been my main character in every Super Smash Bros. game to date. Now she's been reduced to a joke character. Jigglypuff players thought that her return to being good would happen with Super Smash Bros. 4... but she's stayed static and has been left behind. She cannot compete against all of these long-ranged characters and their disjointed hitboxes with her tiny limbs. Many characters outperform her in the air now, and many characters have ridiculous recoveries so they can get back to the stage no matter what Jigglypuff does. The Boat of Buffs needed to lessen its weight so it could keep going. The characters voted to throw Jigglypuff off. ...This is why democracy is a terrible system. 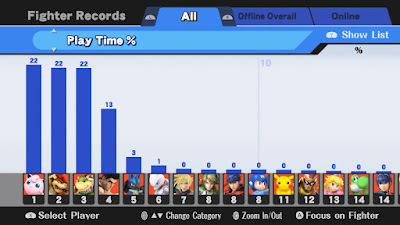 Why did Sakurai give that overrated fake-dragon Charizard buffs in 1.1.5? Charizard already got buffs in previous patches. Did he feel bad after Charizard lost the Pokémon Red vs. Pokémon Green/Blue Splatfest in every region around the world simultaneously? 1.1.6 balance patch in the next month. Dedicate it to Jigglypuff. Let's make Jigglypuff great again! Ludwig actually went through writing this whole article without also asking Sakurai for another buff to himself (and his siblings)! Isn't Ludwig so selfless, kind, and considerate? That said, Ludwig would also like a Ludwig Von Koopa character icon for the online profiles in Super Smash Bros. For Wii U. Then he could stop using Tingle. For whatever reason, Ludwig once (and may still think this way to this day) considered Jigglypuff to be among his top five favourite characters of all time. You can look at who is (was) lower-tier here. Wait, the canine and fowl actually got buffs? In this patch, yes, and in patches before this one.